There is a need for the right guidance, some of us find it at earlier age, some of us get it through our parents and some of us are perplexed most of the time with the same question. We all need a place, a chance to prove ourselves, to prove our real potentials. We know that one should not wait for an opportunity but should create one. How do we do that? 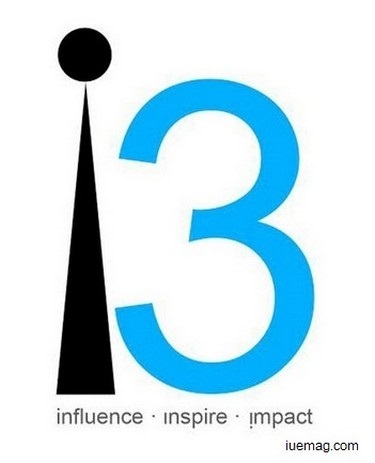 i3 is a terrific platform which showcases the talents of the youth in the way it has to be. They make them face challenges. They teach you to face them and then how to overcome them. At the end make you realize how you transformed yourself to a stronger individual. This platform teaches networking and creates network. People from different ages and places come together and we get a chance to learn about different things. Most importantly the lessons that are taken back from the ones shared by the counselors in every conference are priceless. The lessons which some people never realized or it was too late by the time they did, are taught here. The most wonderful platform creates the equally wonderful Youth Leaders. i3 is such a platform which makes space for any kind of talents. Be it serving needy, teaching poor kids or helping orghans, i3 has space for it all. Called by many as an ‘Eye-Opener’, this platform encourages social entrepreneurship and volunteerism. I am glad and feel lucky that I have been a part of this Life-Changing Platform and have experienced the changes mentioned above. I know that there has been an amazing influence, I have got the right Inspiration and there has been a huge impact on my life and I am all set to create massive impact! Hence I dedicate this article to the platform - i3 as I embark my journey into the field of ‘Writing’! I strongly recommend every youngster, aspiring to carve a name in the society to be a part of this platform and experience the transformation as I did. Any facts, figures or references stated here are made by the author & don't reflect the endorsement of iU at all times unless otherwise drafted by official staff at iU. This article was first published here on 5th August 2015. Anusha Desai is a contributing writer at Inspiration Unlimited eMagazine.